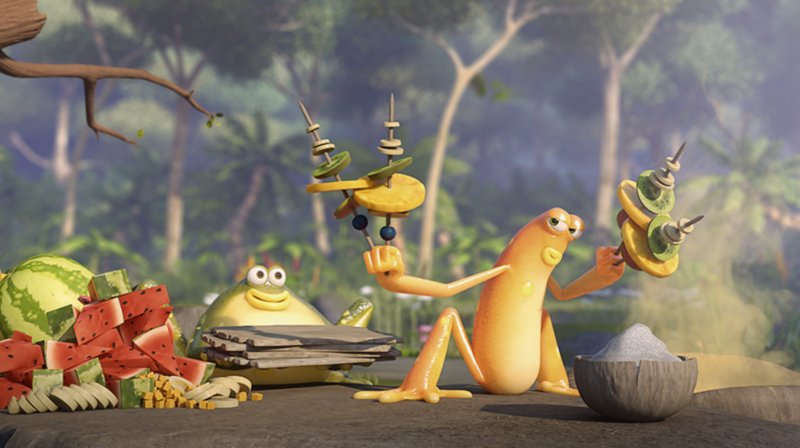 We’re excited to announce that PGS has come on board with commissioning broadcaster and historic partner, France Televisions for the newly greenlit third season (52×11’) of the CGI series The Jungle Bunch. Toulouse-based TAT productions and Master Films will co-produce the third season, while PGS Entertainment will handle all global distribution. 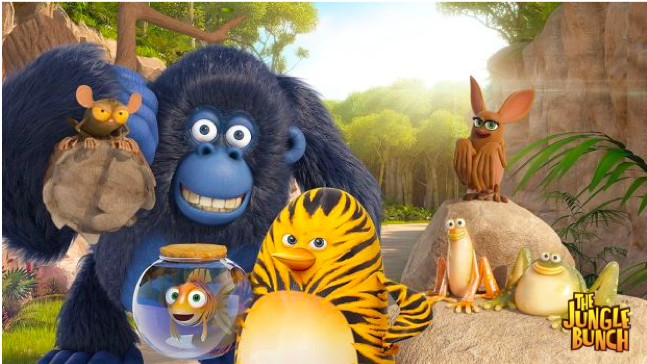 The Jungle Bunch, targeted to both kids & their families, features an enchanting and comedic array of animal characters, including Maurice the penguin, who thinks he’s a tiger; and Junior, the tiger fish. It first debuted as a 1-minute episode in 2012, which quickly led to a TV special & shorts. 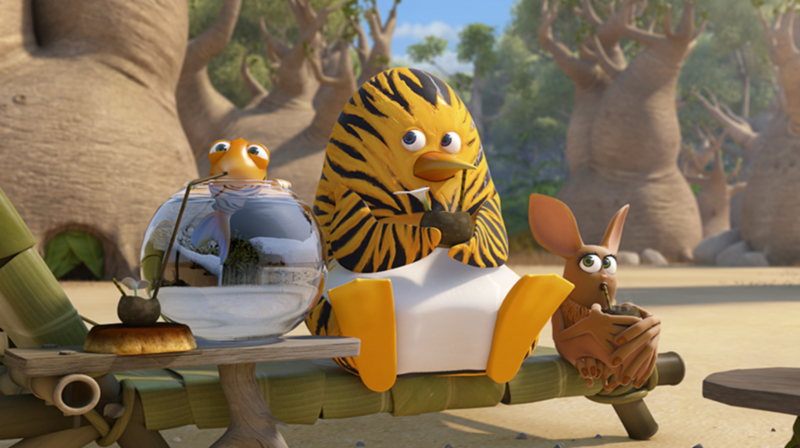 Since then, The Jungle Bunch has grown into an international success, with 2 seasons airing in over 180 territories, on all continents, including on major networks such as Cartoon Network Nat Geo kids, SVOD platforms such as Netflix, and leading free-to-air broadcasts such as Rai (Italy), Super RTL (Germany), Clan (Spain), ABC (Australia), TVNZ (New Zealand), TeleQuebec (Fr. Canda), Ouf Tivi (Belgium), VRT (Belgium), NRK (Norway), and many more! Show recently launched in the US on Sprout and Hulu. The success of the two seasons led to a worldwide theatrical release in over 70 territories in 2017 and an extensive licensing program with over 100 licensing partners. 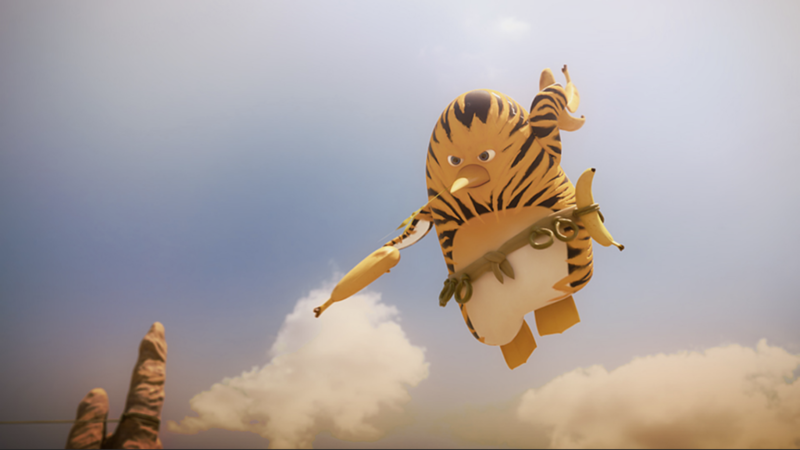 The Jungle Bunch has won over a dozen awards, including the prestigious Kids Emmy Award for Best Animation (2014), as well as Pulcinella Awards (2012) (2014), and Kidscreen Awards (2013) (2014). “We couldn’t be more excited to announce the greenlighting of Season 3 of The Jungle Bunch. Following the theatrical release, in which we were able to introduce new major characters & settings, we are continuing to extend and complete the Jungle Bunch universe brick-by-brick,” said Jean-Francois Tosti, producer and co-creator of the brand, along with David Alaux & Eric Tosti. “The Jungle Bunch has a proven track record with kids and families across the world and delivers massive ratings. We are proud to continue being a part of this incredible success story and grateful that our partners keep coming back for more Jungle Bunch adventures,” said Guillaume Soutter of PGS. « Previous	Alvinnn!!! & the Chipmunks Gets Greenlit for Season 5!